Courtesy of PREVIEWS REALTY INC.. REDUCED! RARELY AVAILABLE 3BD/2BA END UNIT VILLA IN THE LINKS AT PELICAN POINTE. Amazing golf course views of the 14th fairway! Just under 1800 sq. feet this bright move-in ready TURNKEY FURNISHED villa is perfectly suited for the Florida Lifestyle at award winning Pelican Pointe. Pride of ownership is obvious with only one owner during the winter months. Beautiful laminate flooring throughout (no carpet), new tile in the kitchen, custom plantation shutters on all the windows. Nicely appointed – all lovely furnishings are included. A new Murphy bed in one of the bedrooms leaves space for an office area if desired. Also, there is a separate laundry room with additional storage and shelving. Split plan to give you and your guests plenty of privacy. The separate dining area could be repurposed for other uses. A golf cart will fit in the extra space in the garage. The garage also features attic space with pull-down stairs. The Links is the only community in Pelican Pointe that the HOA fees include the roof maintenance. Pet friendly neighborhood for any size dog/cat. As a resident you will have access to the clubhouse complete with bar/grille, restaurant, banquet facilities, fitness center, tennis courts, pickle ball and heated lap pool. 24 hour guard gate at the main entrance with back entrances for residents only. Semi-private 27 hole golf course for your enjoyment and golf is NOT MANDATORY. Women’s association with over 30 clubs. The fun never stops! Come take a look! Please, send me more information on this property: MLS# N6104103 – $299,000 – 651 Back Nine Dr, Venice, FL 34285. 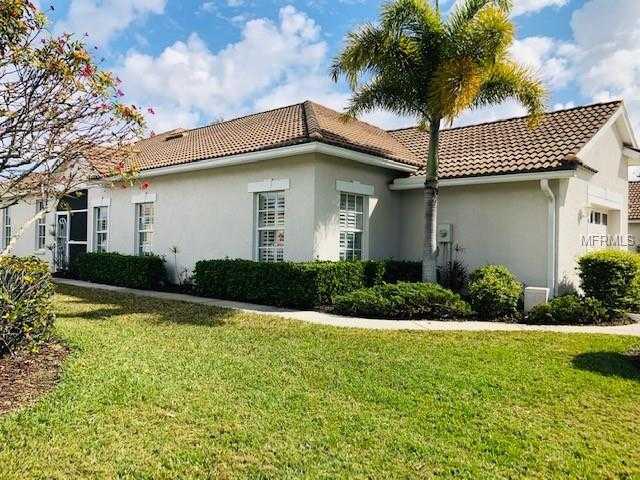 I would like to schedule a showing appointment for this property: MLS# N6104103 – $299,000 – 651 Back Nine Dr, Venice, FL 34285.